“You’re going to Whistler, in the winter? But you don’t ski (or snowboard for that matter)! Some places are so inextricably linked to an activity it becomes hard to see the place outside of its neatly labelled box – particularly when the raison d’être of the place in question has been fueled by five bids over fifty years, culminating in a Winter Olympics being held there in 2010. Just as there is more to Paris than Romance and there’s certainly more to Munich than Beer – Yes, there is more to Whistler than Skiing! 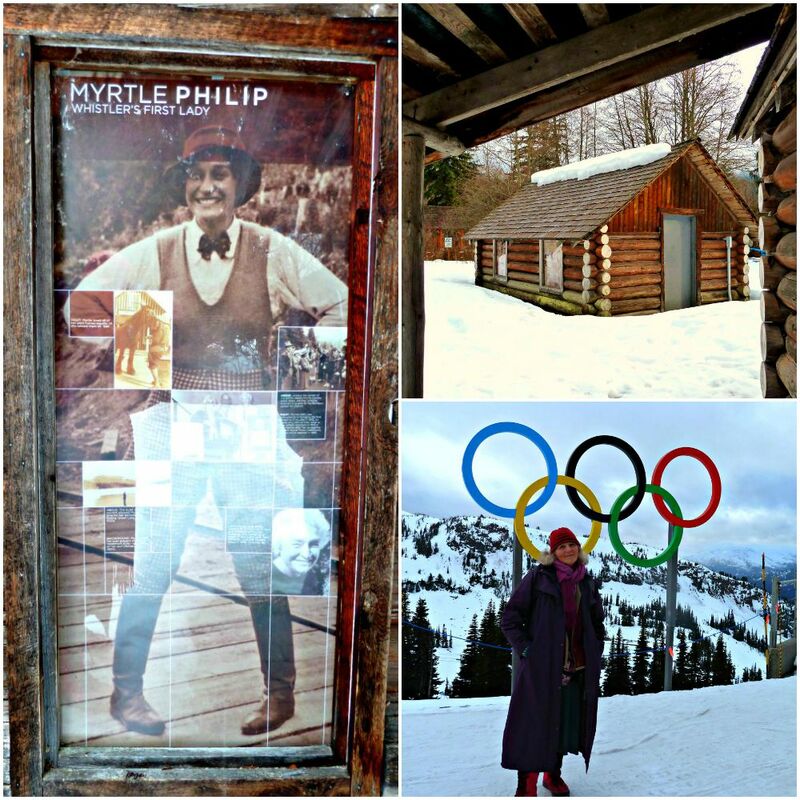 Before 1960, when a group of Vancouver businessmen came to the region with their dream of bringing the winter games to the then called London Mountain – renamed Whistler in 1965 for its resident ‘whistling’ alpine marmots – the draw card had been Alex and Myrtle Philip’s Rainbow Lodge on the shores of Alta Lake as a summer fishing destination. Today – It’s a very different place. While you may feel a little out of place squeezing into a Gondola full of snowboarders – It’s entertaining not only for the scenery, but also listening-in to snowboard-speak conversations! 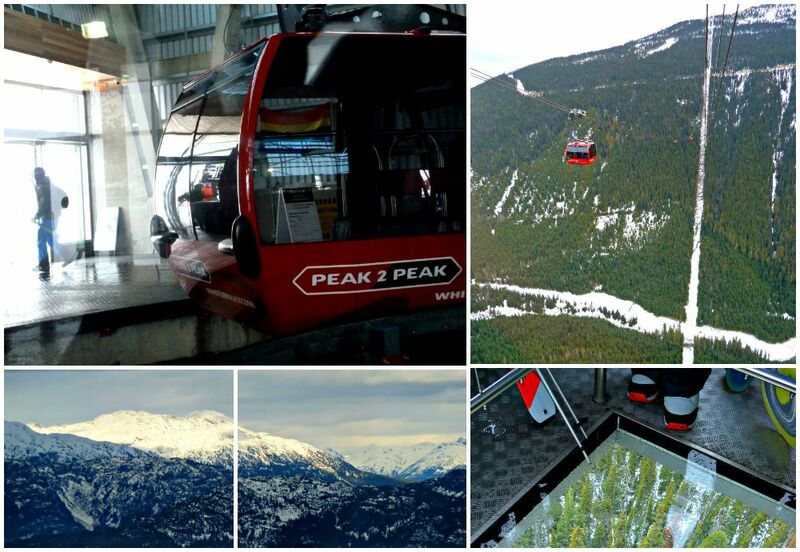 You can buy a non-skiing day pass and then take the Whistler gondola from the village. After a 25 minute ride, there’s a short walk across the snow to the Peak 2 Peak Station. While there is a steady flow of gondolas coming in and departing, there are only two glass bottomed gondolas (look out for the separate queue for these) which come in every 11 minutes, the time it takes to cross the span. You can go backwards and forwards between the two mountains, and get on and off on either side, as many times as you like! While there’s a wide choice of food outlets, rather than grab a snack why not sit back and enjoy a full table service dining experience at either Christine’s on Blackcomb, or Steeps on Whistler. Having gone Peak to Peak across and back on the gondola I found myself on the Whistler side, so came out of the cold and into the welcoming Roundhouse Lodge which was buzzing with skiers and snowboarders exchanging stories from their morning’s adventures. The air felt mildly steamy from wet and damp snow-sports clothing drying out in the warmth and the flat footed way of walking in rigid ski boots made everyone look stiff from their mountainside exertions. Visiting from Australia, a country that like Canada has a modern history, I was keen to draw back the curtain of this recently developed resort to see what had gone before. 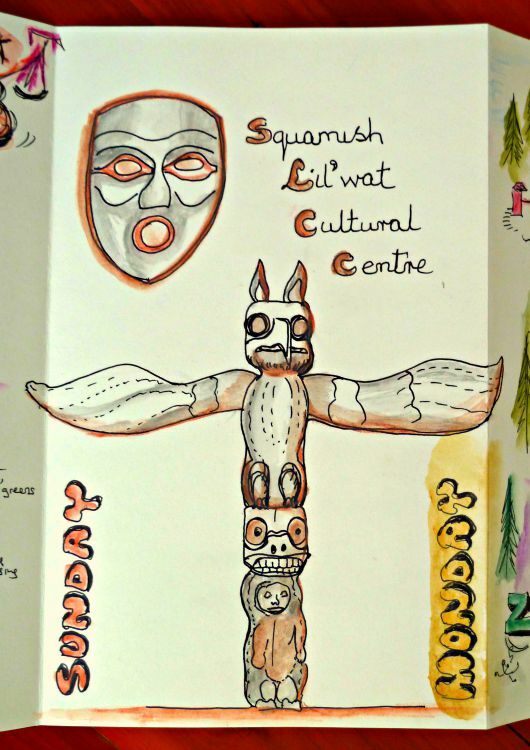 The Squamish Lil’wat Cultural Centre is a short walk from the main village. 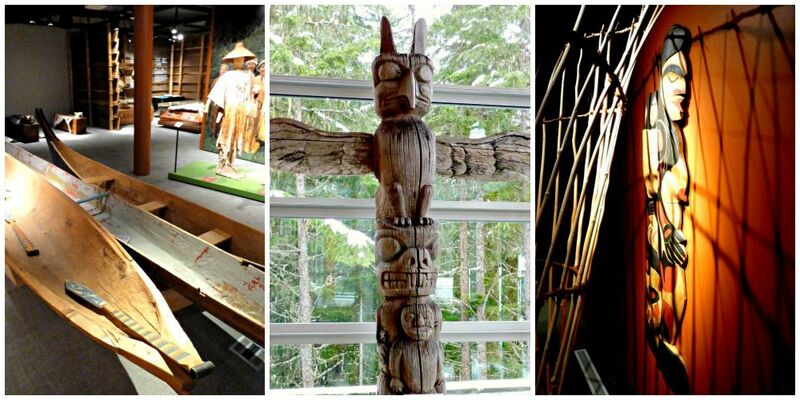 Whistler is situated on ground that forms the border between the Squamish people, whose territory runs down to the coast, and the Lil’wat people who occupy the inland mountains. I made mine (shown on the left as I twirled it) into a little bracelet. There’s also a lovely café here, and a retail gallery with many indigenous arts and crafts for sale. Leaving the Cultural Centre I chose to walk back to the village via the Fitzsimmons Accessible Nature Trail – It’s 800m long, so you’re only ever a stone’s throw from civilisation but it’s so quiet and peaceful you feel as though you’re way off out in the wilderness. I was pleased it was winter and they were all busy hibernating! There’s a 40km paved Valley Trail for walkers and bikers, which connects the outer suburbs to the village hub. A great piece of infrastructure planning. 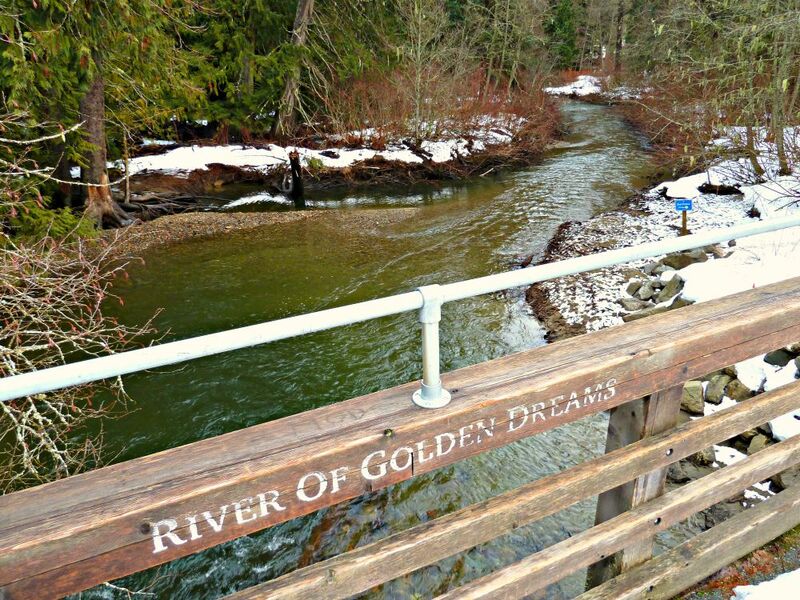 I was staying out at Alpine Meadows and was able to walk to Rainbow Park – the birth place of Whistler – crossing the River of Golden Dreams along the way. Just because you don’t want to ski doesn’t mean to say you’re not up for a little thrill seeking – pushing the envelope and taking yourself that little bit beyond your comfort zone makes you know you’re alive – And is just what holidays are all about! I was therefore excited by the prospect of doing a Ziptrek Ziplining tour so (nervously) put my hand up to have a go. Hold on! But I haven’t ziplined before, and dropping 20 storeys is not what I have in mind as “fun”. You’ll be so thrilled you stepped up to the challenge! bobsleigh – Check out Janice’s solo travel blog recounting her experience going down the Olympic luge course! skating on the rink in the village at Olympic Plaza. And don’t forget to spend some time journalling to record all your wonderful adventures! 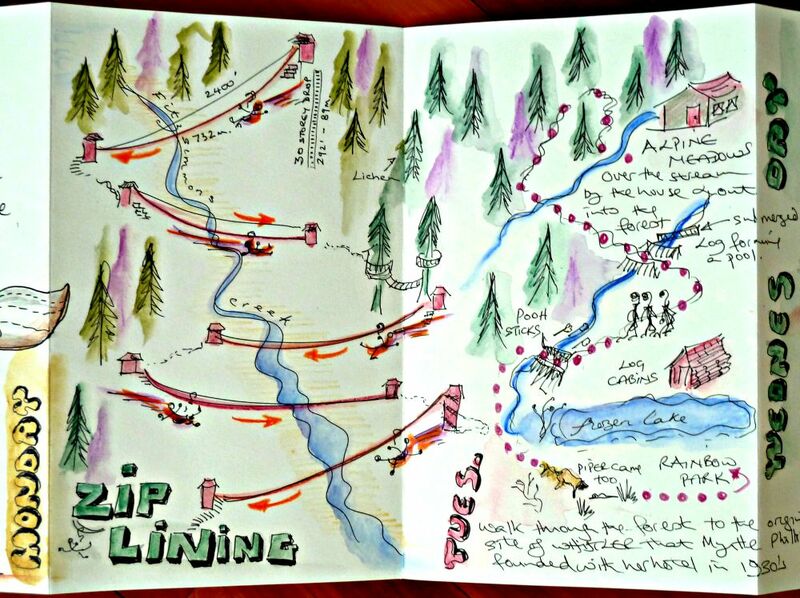 You can grab an accordion/concertina travel journal like the one I used while in Whistler here. Have you visited a holiday destination renowned for one thing, but then peeled back the facade to reveal more to the place than at first glance? This entry was posted in Tales of a Traveller and tagged Whistler, winter by Linda. Bookmark the permalink. 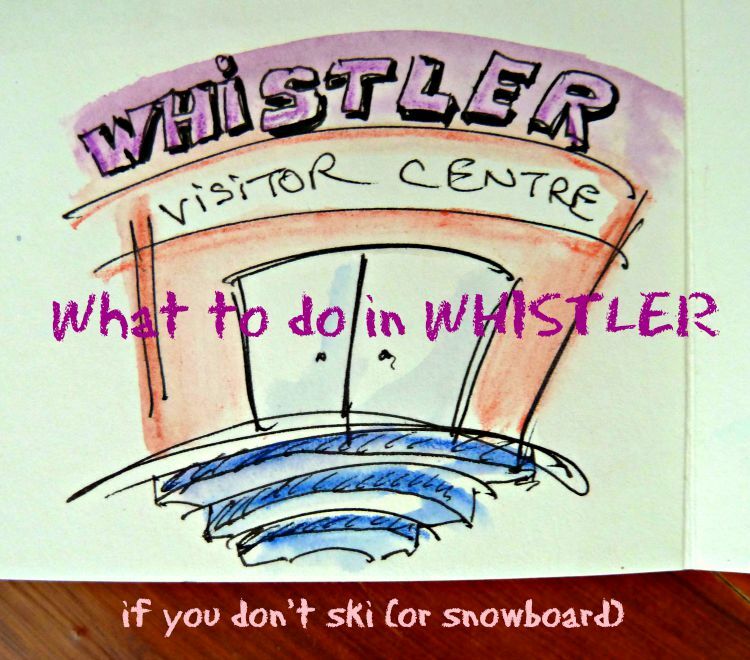 That’s interesting – being a non-skiier I wouldn’t have thought of going to Whistler. But I’d be interested in the walking and finding out more about the First Nations. I have to say, I’d also have loved to have gone Bald Eagle watching! Wow! 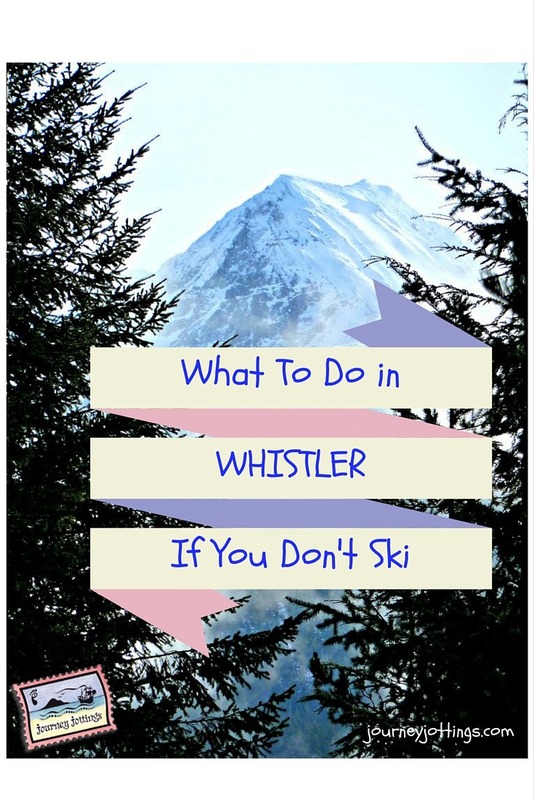 We have just moved to Seattle temporarily and wanted to go to Whistler and wonderful exactly that: What to do if you no longer wish to ski or board? I watched as much of the video as I could, but my heart was racing! I am so impressed! Were you scared? Did you enjoy it? PS. I LOVE your travel journals – they are so beautiful! Having total faith in the harness is the secret! I therefore pre-decided that on my first zipline I would take my feet off the ground with my arms outstretched so as to both surrender to and embrace the fact I could fly! And it worked – it was wonderful – and as you heard, I was spontaneously giggling, which is not what I thought my reaction would have been! I’ve always wondered if I’d enjoy zip lining as I have a wicked fear of height, but it just looks like so much fun and doing it in Whistler seems super pretty. I always enjoy seeing examples of your creativity! I didn’t know you could go dog sledding at Whistler! We were there in Spring when the ski lifts turn into bike lifts and the downhill slopes have mountain bike riders flying over them instead of skiers. I would imagine that there’d be beautiful walks available at that time of year, with the mountainsides covered in flowers? Couldn’t see any flowers from the chairlift. There was still snow around. Thanks for the link. As a wussie skier who ends up on my arse most of the time, I’d definitely stick to your lists of non skiiing things to do. The ziplining looked amazing, but a nice lunch in a snug restaurant with a view (after a walk of course) would be my thing probably. Whistler looks beautiful in winter, but I avoid cold whenever possible! The ziplining would be available in summer, wouldn’t it? When I read about that cable ride that’s so long, I thought it looked terrifying, but ziplining is WAY outside my comfort zone! You made it look like fun, though! During the week before, when going out for a walk, I’d go down the road thrusting my arms out while visualizing myself stepping off the platform and taking flight! Olympians do visualization… so why not us mere mortals?! 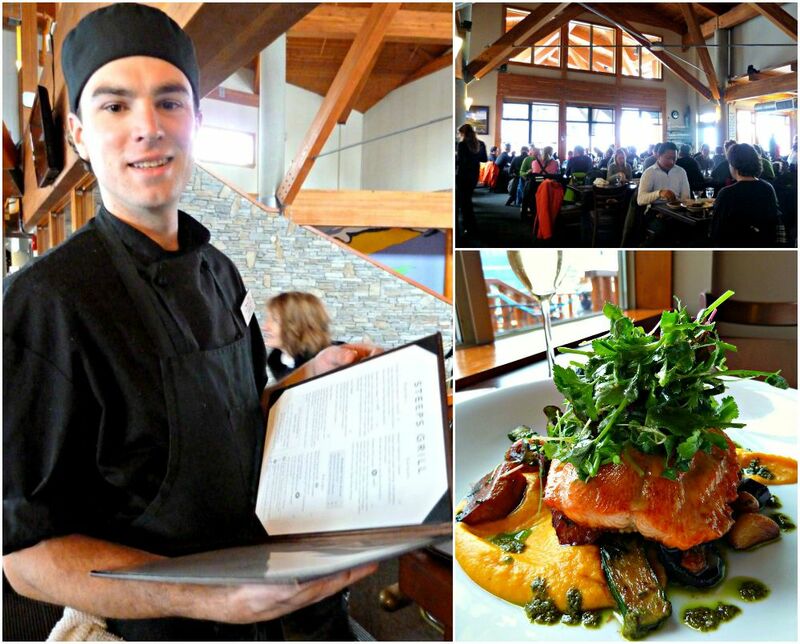 I will definitely skip the skiing in Whistler and have lunch on the mountain! It was fun going up in the gondola and the lunch on the mountainside was delicious! The scenery is certainly just as fantastic even without skis on your feet, so riding up for lunch is a great idea. Never would have thought of ziplining in the winter though. Why not, I guess? Thanks so much for this terrific post. I come from Canada and have spent time in Vancouver. However, I’ve never made the journey to Whistler because I wasn’t quite sure what I would do once I got there. Thanks for enlightening us! The road trip up to Whistler alone is worth doing for the stunning Sound scenery. But once there, if you’re not a skier or snowboarder, there are so many options of things to do you’d be hard pushed to fit them all in! 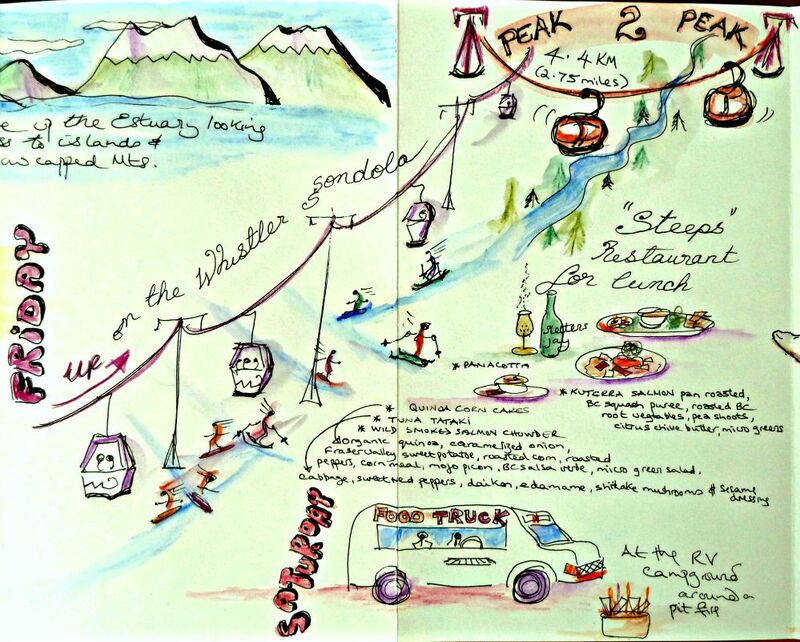 I visited Whistler and do not ski, so I recognize many of the attractions you list. 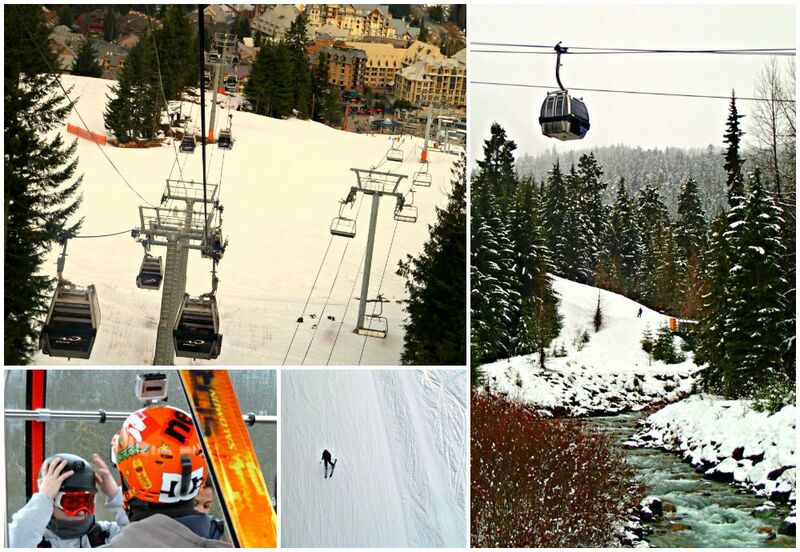 Whistler really does have endless possibilities beyond what it is renown for! I LOVED Whistler, and also do not ski. 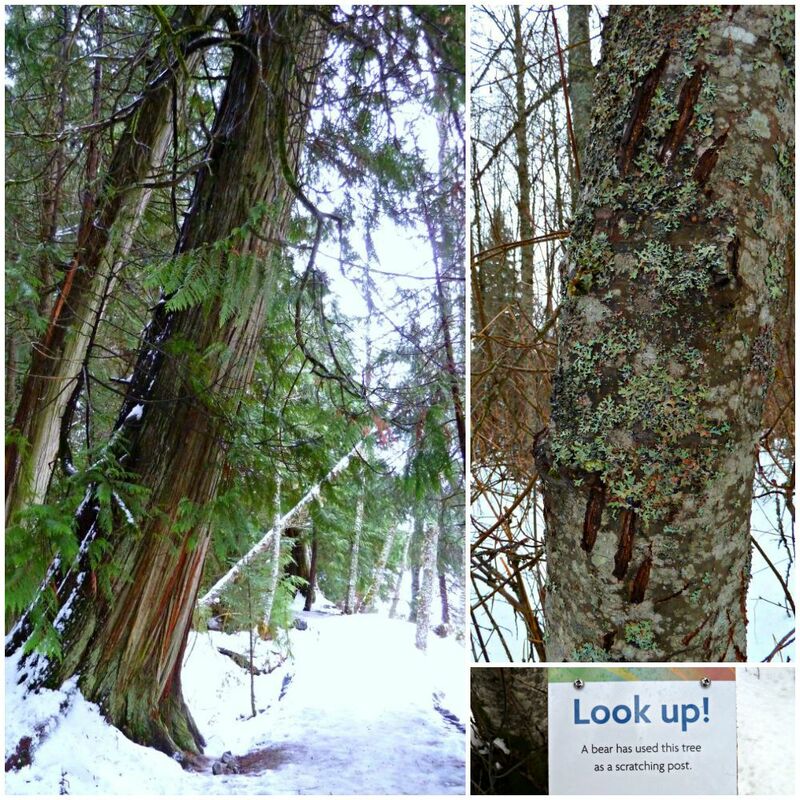 It is such a beautiful place with so many lovely walks and hikes I think it is worth a visit for any non-skier! It’s hard to beat a place surrounded by mountains at the best of times isn’t it?! I do ski and I’ve been wanting to ski Whistler for years, but I love all of the other activities you found, too. Nice to have options and it’s probably enough just to enjoy being in such a beautiful place. I really like #2 — having lunch on the mountain! Seriously, when I go skiing it’s a highlight of my day. Steeps Restaurant looks like a lovely spot. For skiers and snowboarders there’s such an array of runs – and the fact the two mountains Blackcomb and Whistler are now connected by the Peak 2 Peak means you can start on the top lifts of one mountain and 11 minutes later having covered the span, be skiing the top lifts on the other mountain – so the variety is virtually endless! Now this topic is for me. I can’t ski and I really would love to travel places like this. Never thought I can still enjoy the place even without skiing. Thanks for the info 🙂 Love it! 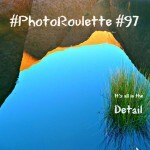 Some places are so synonymous with an activity one can’t picture it other than in its box! I know this post is about Whistler, but if you’re ever in Anchorage, Alaska and wanted to go to Alyeska for skiing – there is an AMAZING restaurant up there that overlooks everything. It’s a bit pricey but well worth the trip. OMG so nice! Thanks for the tips on Whistler by the way. I’ve been up there many times – to snowboard of course :). Hung Thai recently posted..I was assaulted in Japan. It was awesome.